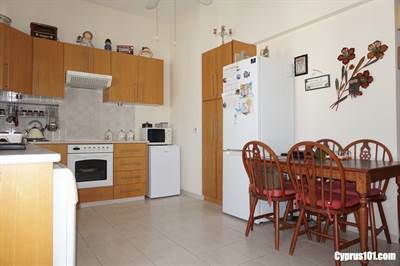 This well presented 2 bedroom, 2 bathroom apartment is situated on a small and well maintained complex in Kato Paphos, within walking distance to local amenities and nearby bus stop. Being situated on the top floor of a two storey block, the property benefits from being detached on all sides. Sliding patio doors in the lounge open on to a private balcony overlooking the stunning swimming pool and surrounding sunbathing terrace – a perfect place for outdoor dining.